#LakeShow in Philly for a midday matchup at 12:30 PT! - Los Angeles is 5-1 against the spread in its last six games on the road. - The total has gone under in eight of Los Angeles' last 11 games against Philadelphia. - The total has gone under in five of Philadelphia's last five games. - Philadelphia is 1-5 straight up in its last six home games against Los Angeles. - LeBron James Total Points: Over 26.5 (-116) – LeBron James always delivers his best performances on the biggest stage. 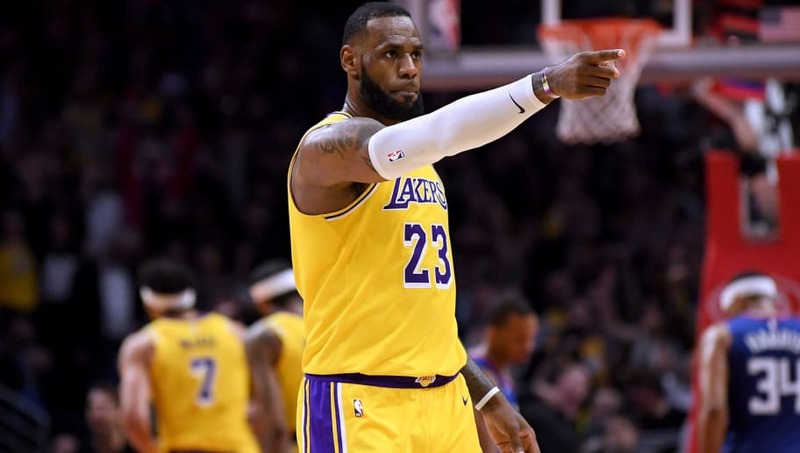 And LeBron finally looks healthy again, dropping 28 points while shooting 52.4 percent from the field and 50.0 percent from beyond the arc Thursday night against the Boston Celtics. Furthermore, in his last four games against the Philadelphia 76ers, LeBron averaged 33.5 PPG on 50.5 percent from the field and 40.7 percent from 3-point range.